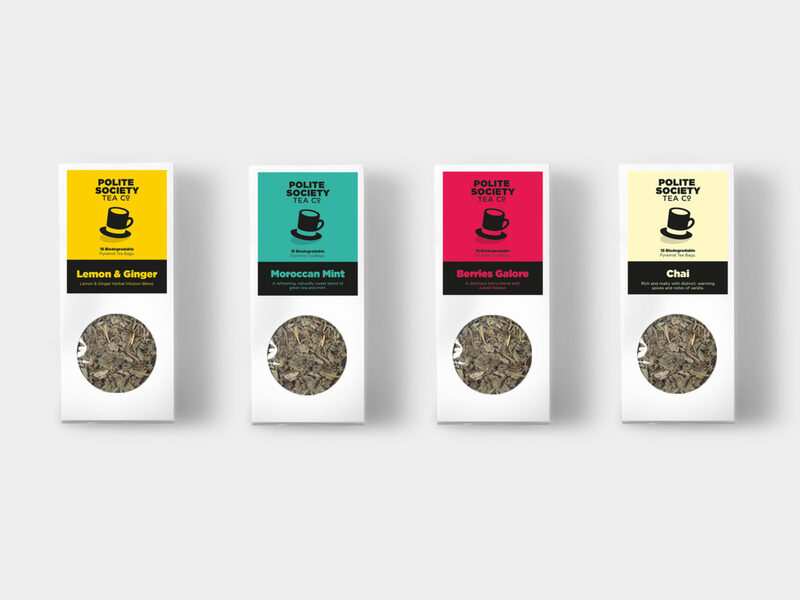 With so many brands competing for attention, Polite Society Tea Company owner Keith Love knew that his business needed an engaging, attention-grabbing brand that could be rolled out across everything from packaging to POS material. 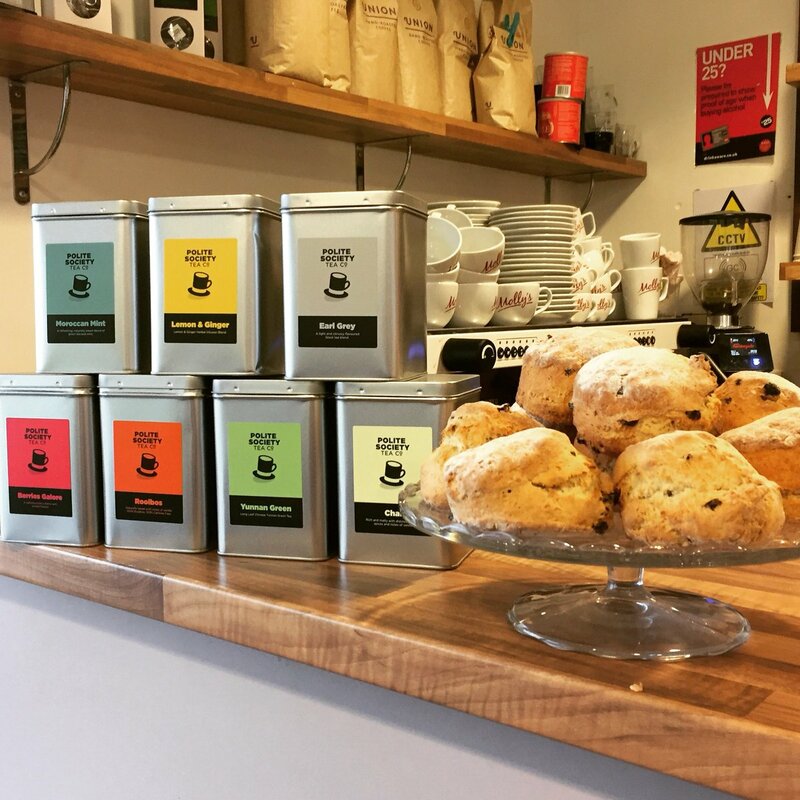 Tapping into our passion for great brands (and strong cups of tea), we worked closely with Keith to bring his brand to life. From the outset of the project, we worked to capture the feelings that tea evokes – a warm, welcoming setting and a relaxed, informal style. 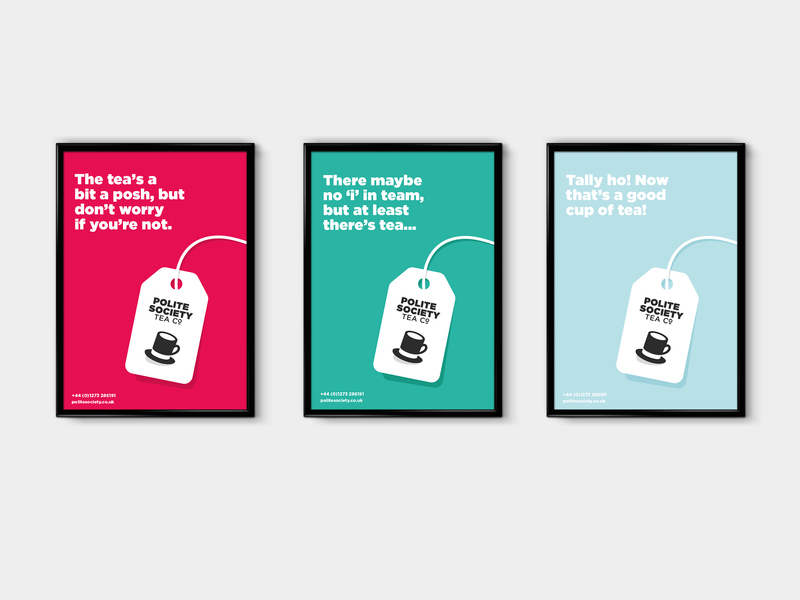 But we also took the opportunity to put the Polite Society values at the heart of the identity – posh tea, but with an accessible sensibility. 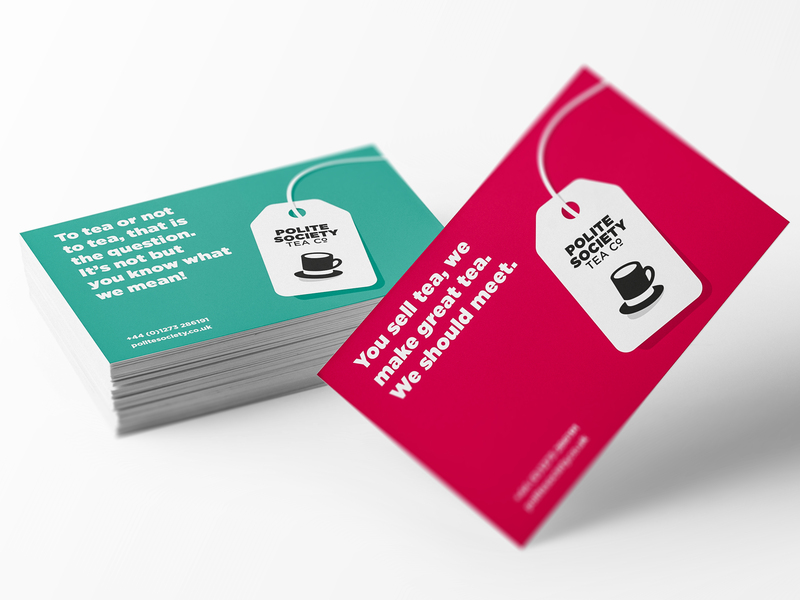 Our bold icon design captured this message in itself, with a top hat that doubles as a cup and saucer, while tone of voice guidelines supported the positioning and provided much-needed consistency. 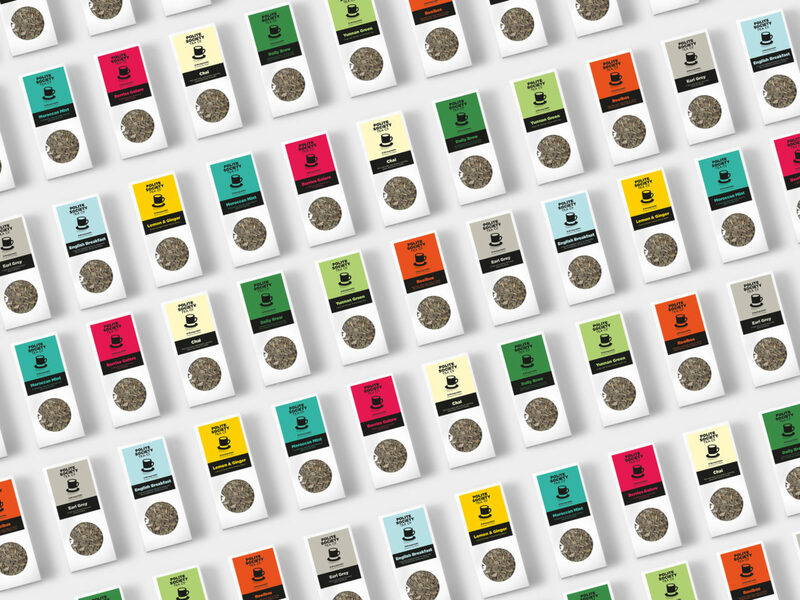 This was combined with a simple-yet-striking visual system using blocks of solid colour – an effective way to stand out on the shelf.